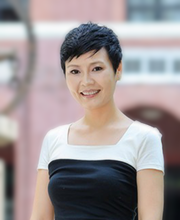 Lei Zhu is an Associate Professor of Accounting at Shanghai Advanced Institute of Finance (SAIF). She was an Assistant Professor of Accounting at the School of Management of Boston University (2009- 2013). Professor Zhu receives her Ph.D. in Accounting from Columbia Business School, Columbia University, in 2009. Professor Zhu’s research involves theoretical and empirical corporate finance and financial institutions, financial market and its legal and regulatory system.